Nokia Model 2720. Design Flip. Band Mode 1SIM/Single-Band. Release Date 2009. Display Color Color. Call records 20 dialed, 20 received, 20 missed calls. Language No Japanese and Korea Language. Display Resolution 128 x 160 pixels. 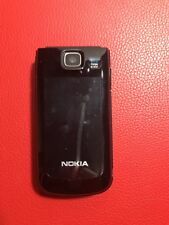 Nokia 2720 RM-519 - Black Unlocked Used Cellphone. SIM Lock Status Unlocked. User Locked Unlocked. Condition Used. We will be more than HAPPY to solve any problem for you with a HAPPY ending! No worries! 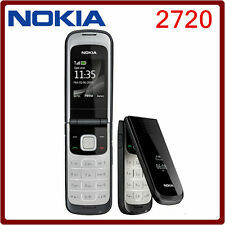 Nokia 2720 fold Unlocked Mobile Phone *VGC*＋Warranty! Format : GSM Unlocked. May have marks. May be international version (You may need to reinstall OS to your region). Warranty type :RFG Warranty. Warranty Included. Warranty :Yes. Bluetooth Yes, v2.0. Phone Book. DC output: 5V and 1A. AC Adapter. Infrared port No. Data Transfer. 500 entries, Photocall. Vibration; MP3 ringtonesSpeakerphone: Yes. 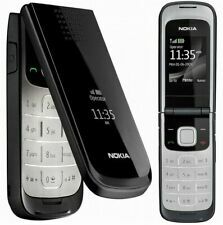 Stylish and handy, the Nokia 2720 is a clamshell type phone designed for youngsters. 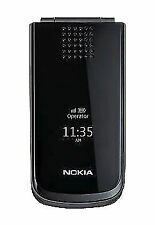 This Nokia phone features an external and an internal display. Screen Size. The phone is an English keyboard. Display Technology. 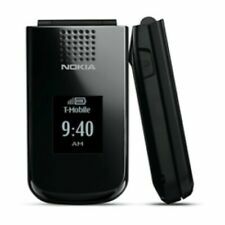 Practical Black Nokia 2720 Brand (UNLOCKED) Multiple Language GSM Cellular Phone. 2 Nokia 2720 cell phones. GSM flip cell PHONEs. for parts or repair. poor (as pictured). Don't under estimate the Grade C phone! These blemishes can be easily hidden with a phone case. Very close to new! These handsets are in pristine condition and you would have to look very closely to see any signs of usage on these phones. If the item has arrived with you and you claim that it hasn’t the police will be notified and further action will be taken from there. WE ALWAYS GO THE EXTRA MILE! You’re getting a great device at a great price! This Phone doesn't include its original box. FREE 6 Months Warranty. You’re getting a great device at a great price! As well as a great value Phone, you will also receive This Phone doesn't include its original box. Pristine as Like New- This is an exceptional product showing no signs of use, it has been fully tested and is in excellent working order. The front and rear housing may have scratches or cracks however the screen will be intact an full working order. One would look at such a phone and think “this is a well used phone, but with a cover it will look fine”. Except 3 network. Fully working and tested and on norma used phone condition. The phone has been photographed so you know exactly what you are purchasing. Trending at $30.03eBay determines this price through a machine learned model of the product's sale prices within the last 90 days. Except 3 network. Fully working and tested and on good used phone condition. The phone has been photographed so you know exactly what you are purchasing. Except 3 network. Fully working and tested and on normal used phone condition. The phone has been photographed so you know exactly what you are purchasing.